SNAFU! : Congress Critter asks why the Marine Corps spends so much on aviation, so little on ground component! Congress Critter asks why the Marine Corps spends so much on aviation, so little on ground component! The Marine Corps’ top financial officer told lawmakers that the service considers its modernization programs properly balanced between aviation and ground needs, while acknowledging that there hasn’t been enough money in recent years to buy the ground assets at a proper pace. 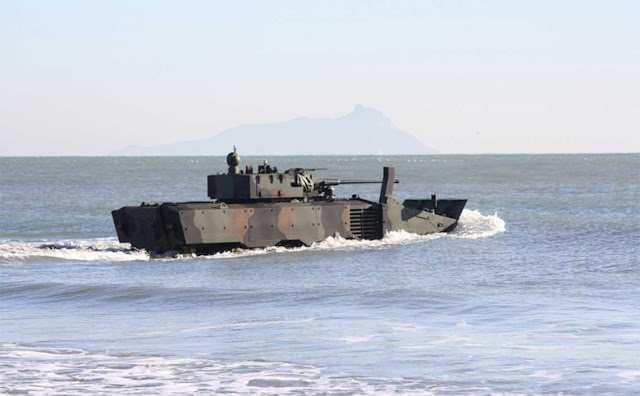 The Marine Corps has faced the challenge in recent years of having to replace all its aircraft types, while simultaneously having to replace ground vehicles and amphibious vehicles and connectors. None are cheap, and having nearly a dozen modernization programs at once – plus across-the-board sequester cuts and then annual spending caps – has further complicated the service’s modernization outlook. House Armed Services tactical air and land forces subcommittee ranking member Rep. Niki Tsongas (D-Mass.) asked during a Marine Corps modernization hearing today whether too much priority had gone to aviation in recent years instead of ground vehicles and equipment. “While the Marine Corps certainly has a need for aircraft of many types, the ratio of spending on aircraft compared to ground equipment is striking. The Fiscal Year 2017 budget request was no exception to this trend: in it the Marine Corps requested approximately $1.5 billion for procurement of ground equipment and ammunition, however in the same president’s budget it requested $5.3 billion for just five aircraft programs: the F-35B Joint Strike Fighter, the CH-53K King Stallion helicopter, the V-22 Osprey, the AH-1 attack helicopter and the KC-130 refueler,” she said during the hearing. “We are a light general purpose force. One of the things that gives the Marine Corps an advantage on the battlefield is its mobility and its fires. Much of that comes from aviation,” he said. First. WELL DONE TO Rep. Niki Tsongas (D-Mass.)!!! Second. The ratio is off, has been off since Amos and the concept for operations hasn't kept up with the changing battlefield. Too many eggs are being placed in the aviation basket. Third. Since when is the Marine Corps a "light general purpose force"???? I have always been taught, told, and preached that the Marine Corps is a medium weight force able to scale up and down the spectrum of warfare. America's Shock Troops! This is good news. Someone in Congress gets it.